Rent The Manor House at Prophecy Creek Park | Corporate Events | Wedding Locations, Event Spaces and Party Venues. 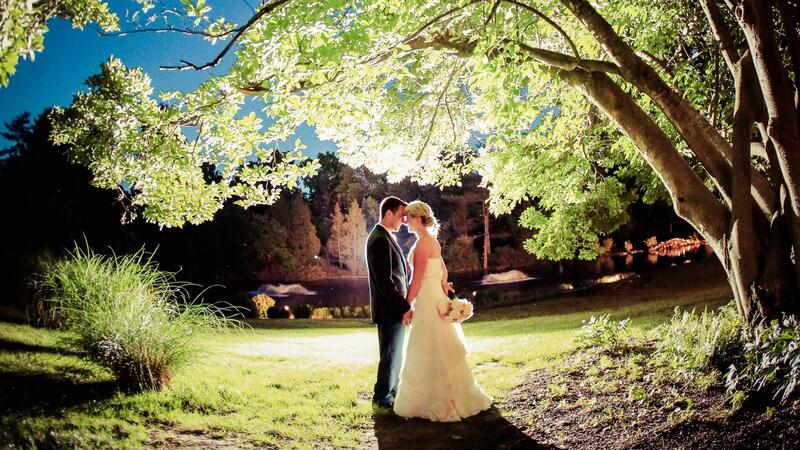 Eighty acres displaying Mother Nature's finest works are complimented with pristine landscaping strolling down to the twin ponds with their many fountains and waterfalls, creating your picture perfect ceremony setting. A stone bridge delivers you to your "private island" with gazebo. The oversized 2000 square foot dance floor with additional floor space designed for your DJ or 12 piece band, will have your family and friends dancing the night away. The Manor offers a variety of event possibilities, utilizing the Library, Dining Room, Living Room, Lounge and Great Room, enhanced with their fireplaces. The spacious bridal suite and groom's room are available pre-ceremony throughout the reception.